The Denver Post has developed several one-topic iOS apps focusing on sports, Colorado travel and more with the help of its newsroom reporters, but so far, the paper says the mobile apps haven't been lucrative -- advertisers aren't on board with supporting niche products. Reported by Reuben Stern and Olga Kyle. This week we learn from The Denver Post’s experience developing single-topic mobile apps, hear about Geekwire’s new revenue stream, and explore Crosscut’s hybrid of arts coverage and community engagement. 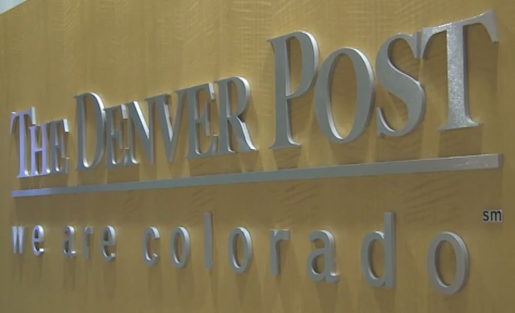 The Denver Post is one of many newsrooms that has sought to increase its mobile audience by creating a portfolio of single-topic apps relevant to its unique locale and expertise. We visit Damon Cain, managing editor for presentation and design, to learn about what went into the apps and what the Post got out of them. Colorado Garden Guide – with nearly 10,000 downloads, the Post’s most popular ebook offers tips and advice for anyone who grows anything in the mile high state. Beer Guide – a look at Colorado’s breweries, beer labels, bottle shops and beer bars in the area. Top Workplaces – a ranking of the top 100 workplaces, plus employer profiles, interviewsand stories about winning workplace cultures. Ten Things to do in Colorado – a look at some of the best activities in the area. Ski Guide – a comprehensive guide to Colorado’s resorts, with insights into top winter diversions and fun activities on the slopes. The Post’s ebooks are primarily designed for iPhone and iPad, but the company is working to make them available across mobile platforms. You can see the full list of ebooks here. Share your experience: If you have adapted news content into ebooks or other digital products, we’d love to hear about your experience and share it with others. Please add to the comments section below. GeekWire is one of many online news sites that generate part of their income in nontraditional ways, such as events and sponsorships. Now the tech reporting site has added another revenue strategy: health insurance. Co-Founder John Cook explains how GeekWire formed a partnership to provide insurance plans for small startups. Reporting by Colin Hope and Tatiana Darie. Our previous report on GeekWire explains more about the organization’s multi-faceted approach to generating income and building community around its coverage. Seattle-based nonprofit news site Crosscut is launching an initiative to cover arts and culture that includes a community engagement twist. The project will enlist artists to dream up solutions for ongoing problems in the city. We visit Crosscut’s office and learn how the project will work.